This entry was posted on October 25, 2008 at 9:44 pm	and is filed under news, newspapers, ufo, ufo sightings in turkey, ufo video. Tagged: turkish ufo video 2008. You can follow any responses to this entry through the RSS 2.0 feed. You can leave a response, or trackback from your own site. The Sun didn’t publish until October 21 so they’re actually off the hook because YouTuber AVIMOAS put it up on YouTube for Sirsius on October 10 and he’s gotten 82,000 hits since. So I think that’s where the Sun got it from. When it was posted we all assumed it was the older 2007 version but it’s not. There are many differences. The video was taken by Yalcin Yalman, the same individual who took the 2007 video and he’s claiming that basically they’re back. I think we need to give it another chance. At least until it’s been researched. Joe Capp from UFO Media Matters is attempting to work on that right now by stabilizing it. We’ve seen so much in the way of CGI and hoaxes that we’ve become numb to something such as this and because of that, we wouldn’t know a real UFO if it bit us in the be-hind. Here was my take also on October 10th well before THE SUN published. Also i just do not feel at ease with this video at all… i want to, but i just cannot, but in the light of getting it wrong, i shall of course wait for more evidence/analysis. ALthough the sun (once again)has i suppose hyped it up to another level. it could also be that i have a heavy cold, and have had a few/several vodka’s with cold tablets…not recommended together. Yes, as much as The Sun can sensationalize, they hurt us about as often as they help us. It is interesting when this was first posted on the net. It was a blog and they. I wrote a post on it months ago. The writer claimed the “University of Turkey” came to the same conclusion. I have not heard that since. By the way I am not going to Peru to visit UFO spotters. I will be too far away. But I am going on a vacation to Peru and Galapagos and of course because Peru is a how spot I always keep my eyes open. I am trying to stabilized the part on the video with the “ET” heads showing. I am hoping to discover if they move and how. I will get back to it again and if happens I will show it. I have not heard any attacks on the Sirius Group credibility. Has anyone heard negative comments about this group? We all need to remember most of the witneses to these events are not hoaxers. Atrueoriginall… i couldn’t agree more; although i would go one stage further, and say ‘The Sun’ does absolutely nothing for Ufology…. it does not analyse for starters, and puts what the hell it wants up there. Joe….hope you have a lovely vacation… and thanks for keeping me informed. I will search the Sirius Group on the internet, and see what i can come up with. 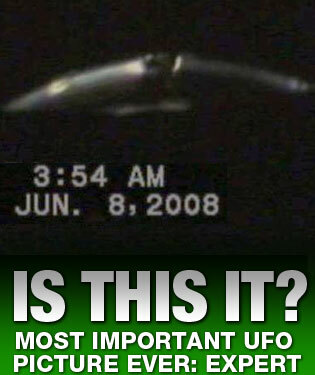 it is a ufo,but not the flying saucer. **Murat (Yalcin Yalmin) is a friend of mine after interviewing him, and hearing the multiple video analysis groups of TUBITAK, and the Astronomy dept. of Istanbul. -Ufology Class (facebook). TUBITAK The Scientific and Technological Research Council of Turkey (Turkish: Türkiye Bilimsel ve Teknolojik Araştırma Kurumu, TÜBİTAK) is a national agency of Turkey whose stated goal is to develop “science, technology and innovation” (STI) policies, support and conduct research and development, and to “play a leading role in the creation of a science and technology culture” in the country. TÜBİTAK was founded in 1963 as an autonomous public institution, governed by a Science Board. TÜBİTAK develops scientific and technological policies and manages R&D institutes, carrying on research, technology and development studies in line with “national priorities”. TÜBİTAK also acts as an advisory agency to the Turkish government and acts as the secretariat of the Supreme Council for Science and Technology, the highest science and technology policymaking body in Turkey. RE: (apology for leaving my statement half written)…. “**Murat (Yalcin Yalmin) is a friend of mine after interviewing him, and hearing the multiple video analysis groups of TUBITAK, and the Astronomy dept. of Istanbul, ive concluded that its totally genuine. -Ufology Class (facebook).